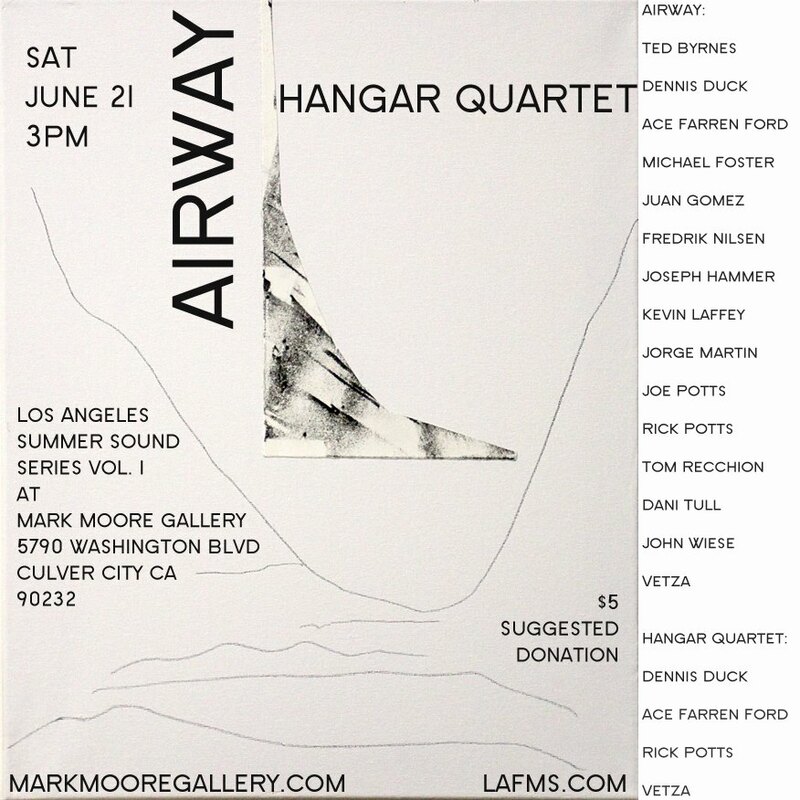 Airway began as a solo project of Los Angeles Free Music Society member Joe Potts. 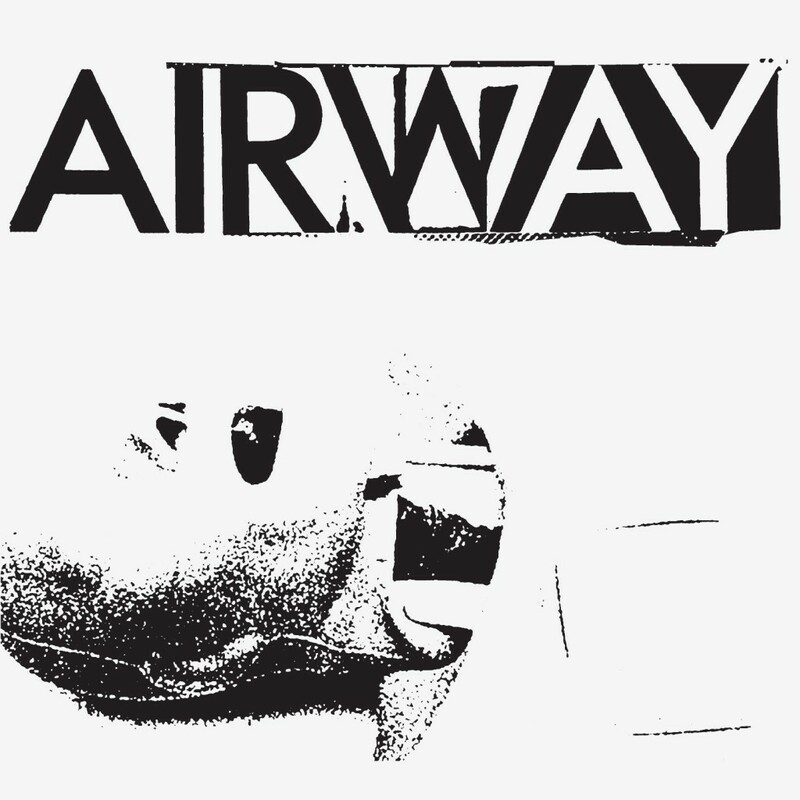 The first release was the Airway 7-inch, which featured subliminal messages to coincide with an art exhibition in Tokyo. 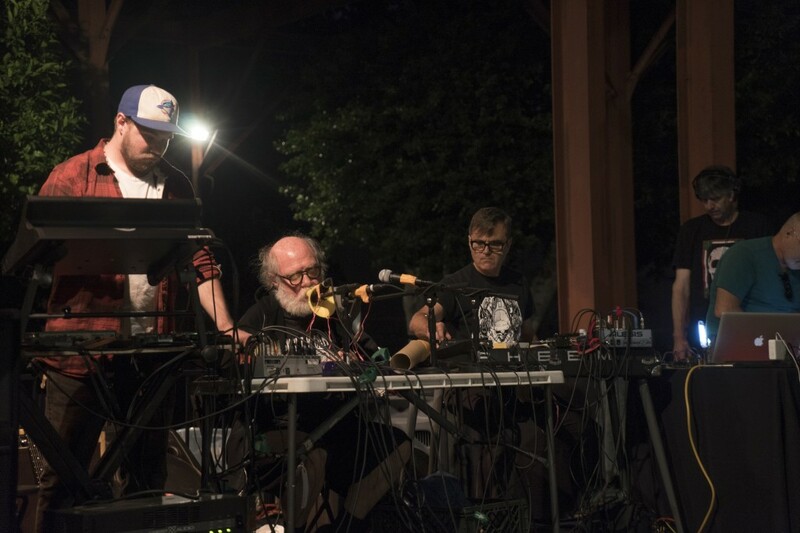 Since their August 1978 live debut at the LACE Gallery, the group has performed many concerts with different large lineups, always with Joe Potts’ subliminal message experiments as a central feature. Airway’s “Live At LACE” LP, first released in 1978, and introduced to Japan by Takuya Sakaguchi, was a direct influence on the projects Hijokaidan and Merzbow. 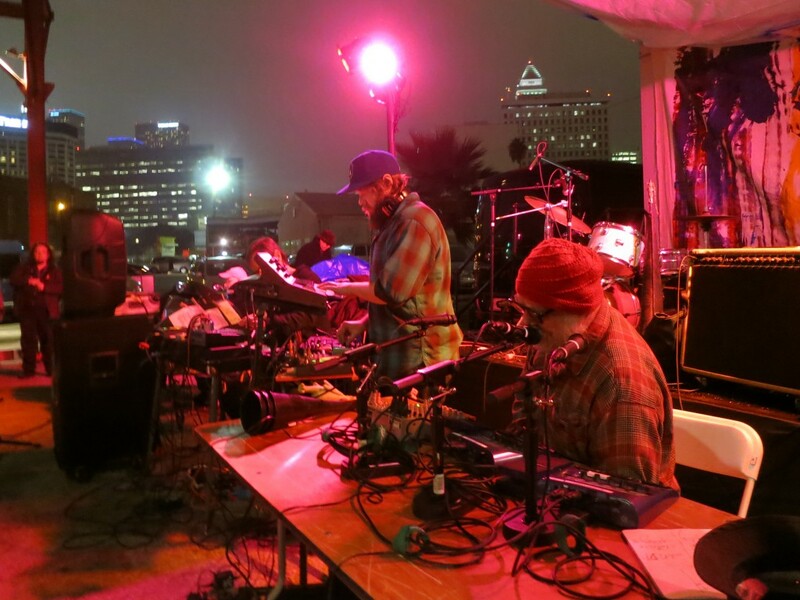 In their 42-year history Airway’s discography to date includes the albums “Live At LACE”, “Beyond The Pink Live”, a split LP with Hijokaidan, “Live At Mark Moore Gallery”, and now “Live At MOCA”. 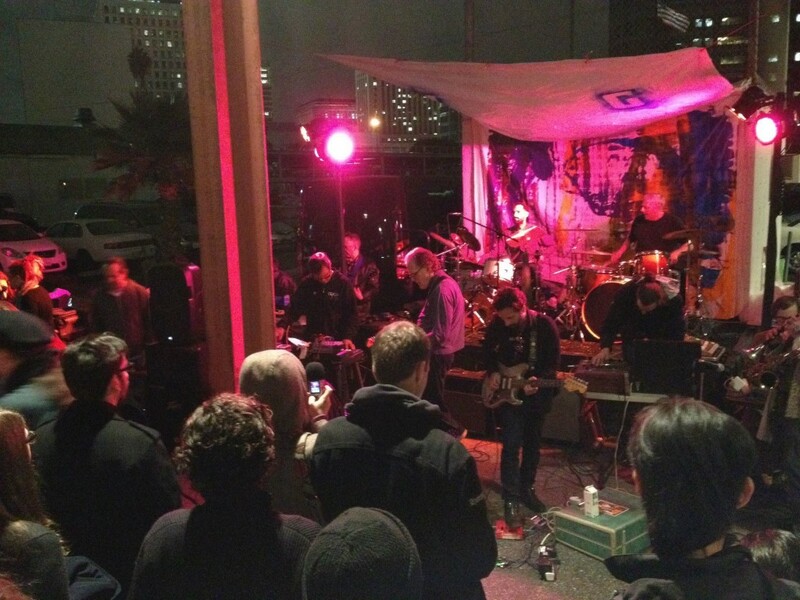 “Live At MOCA” was recorded January 30, 2014 in Los Angeles, California. 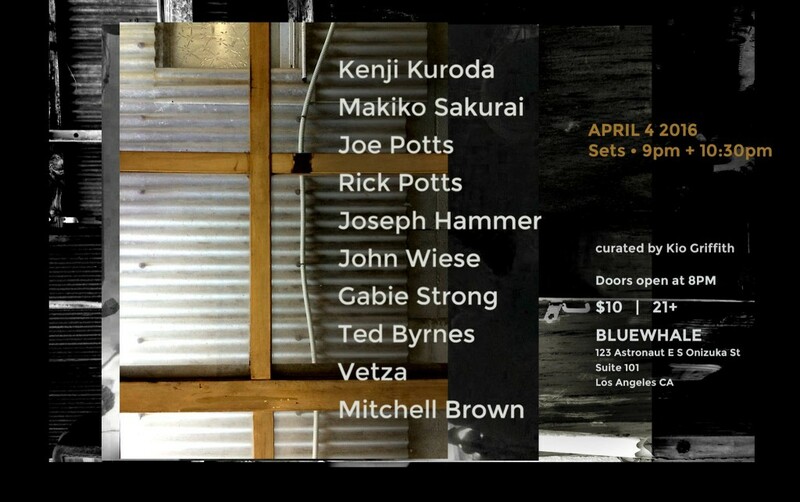 The line-up includes: Ama, Ted Byrnes, Chip Chapman, Dennis Duck, Ace Farren Ford, Juan Gomez, Joseph Hammer, Kevin Laffey, Maya, Fredrik Nilsen, Joe Potts, Rick Potts, Tom Recchion, Dani Tull, Vetza, John Wiese, with additional sounds contributed by Team Airway Japan: Takayuki Hashimoto, Jojo Hiroshige, Kazuya Ishigami, Katsuyoshi Kou, Toshiji Mikawa, Masahiko Ohno, Atsushi Reizen, Takuya Sakaguchi, Shizuo Uchida. 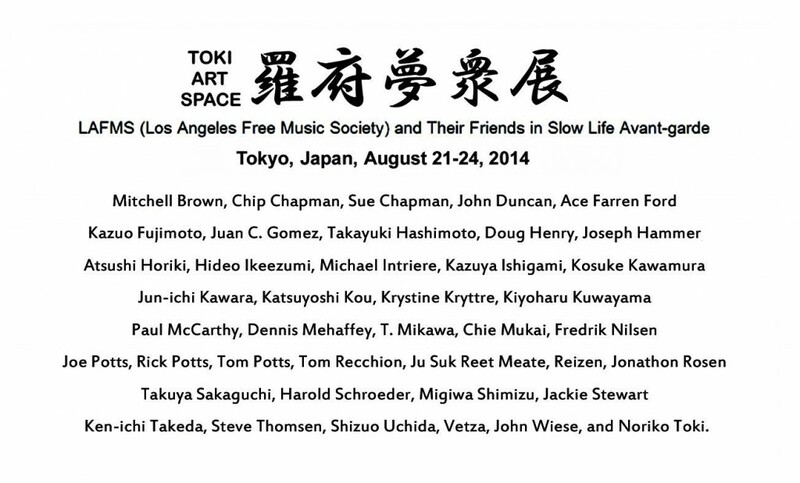 The recording was made by Tamaki Ueda, and was mixed by John Wiese. The cover was designed by Tinytown. 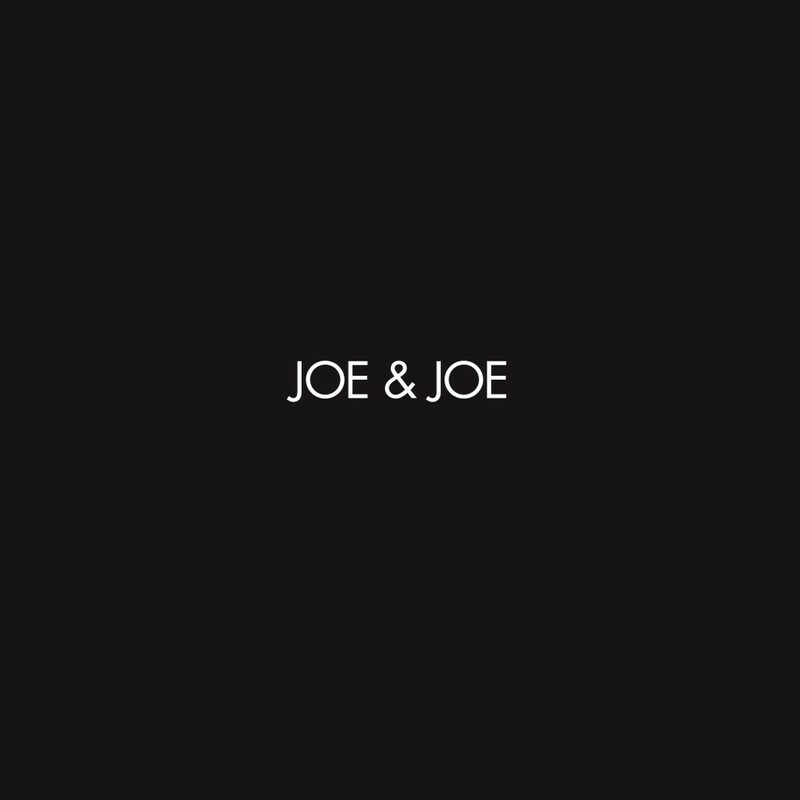 Joe & Joe is the duo of Los Angeles Free Music Society staples Joe Potts and Joseph Hammer. Utilizing the Chopped Optigan and phonomontage techniques respectively, they create an immersive environment of great detail and gravity. 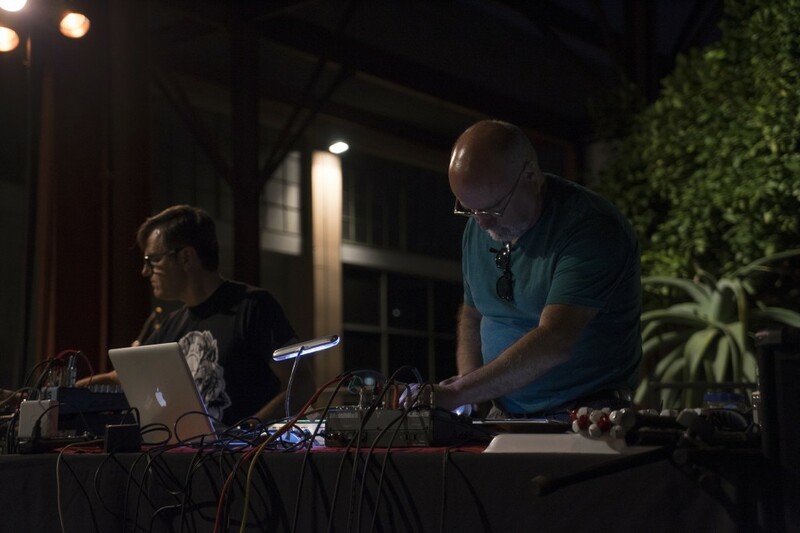 Their performance at this year’s No Response Festival in Cincinnati marked the project’s first excursion outside LA. 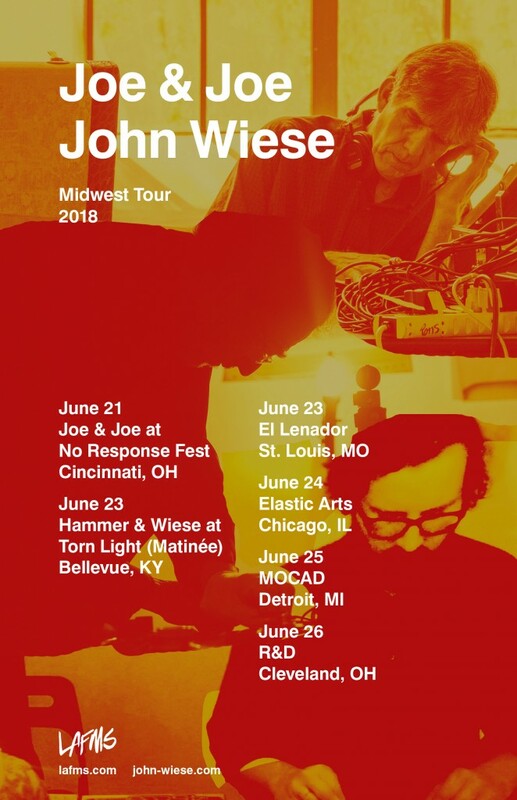 Their subsequent midwest tour is documented by this release. Stores can wholesale direct (sadpsychics a/t gmail.com) or contact Fantastique. 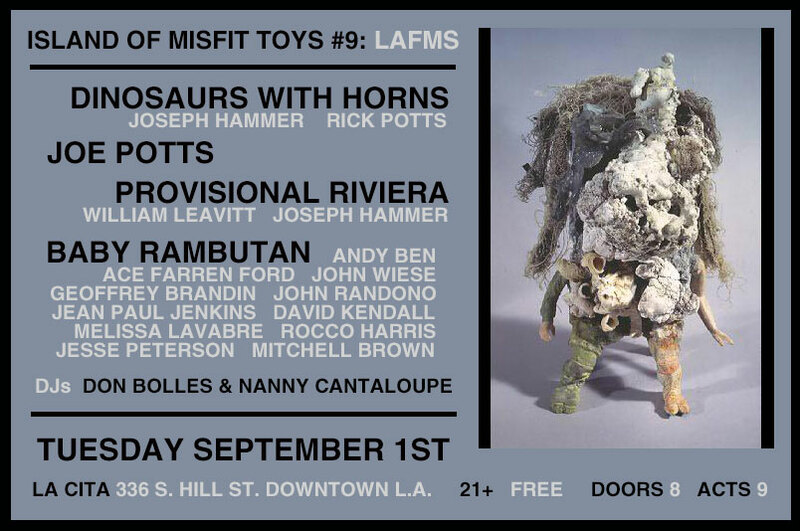 Airway began as a solo project of Los Angeles Free Music Society member Joe Potts. 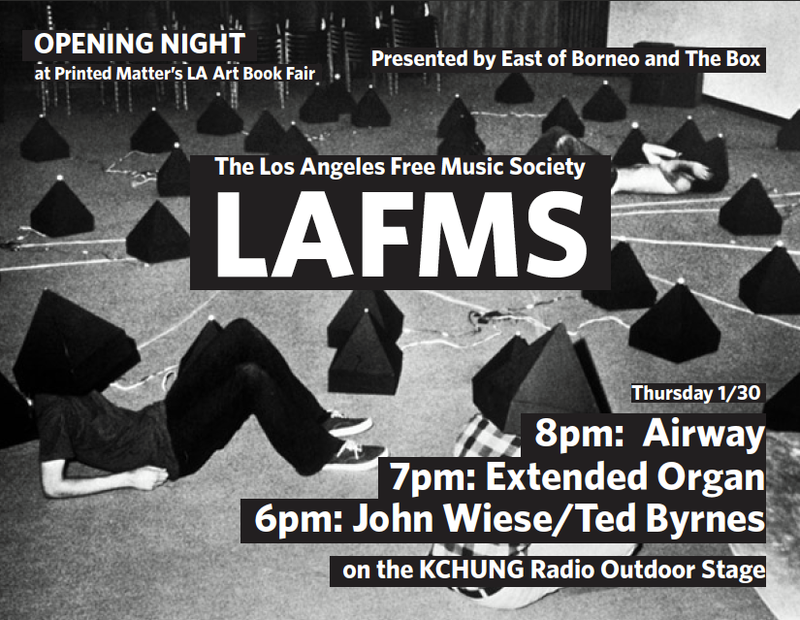 The first release was the Airway 7-inch, which featured subliminal messages to coincide with an art exhibition in Tokyo. 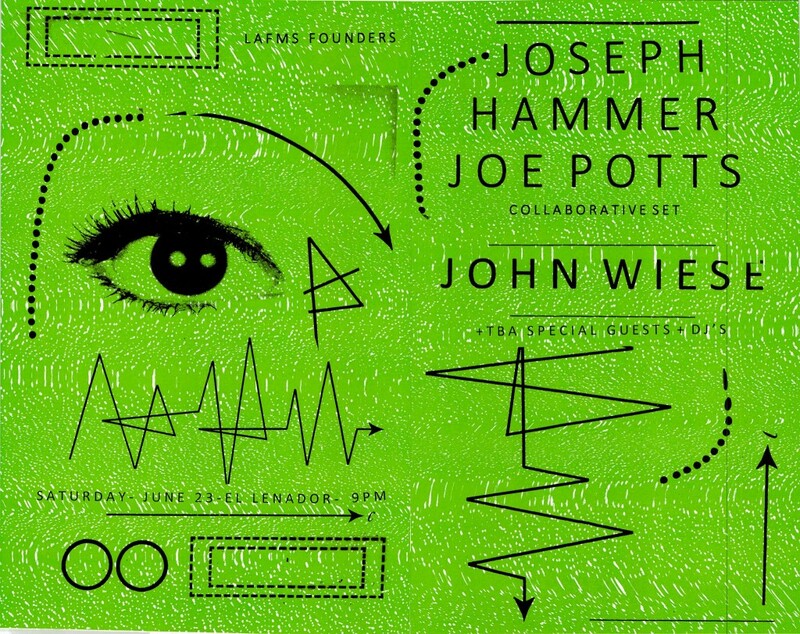 Since their August 1978 live debut at the LACE Gallery, the group has performed many concerts with different large lineups, always with Joe Potts’ subliminal message experiments as a central feature. Airway’s “Live At LACE” LP, first released in 1978, and introduced to Japan by Takuya Sakaguchi, was a direct influence on the projects Hijokaidan and Merzbow. 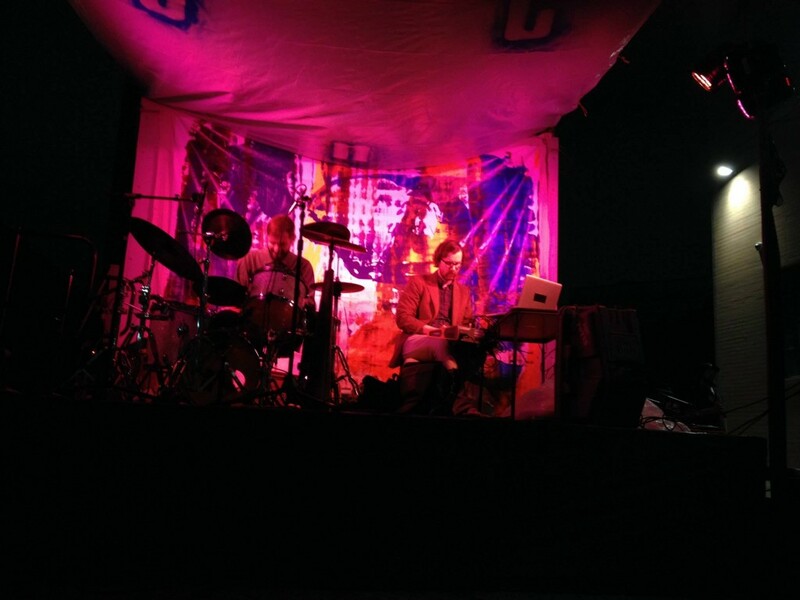 Airway’s discography to date includes the albums “Live At LACE”, “Beyond The Pink Live”, a split LP with Hijokaidan, and now Helicopter is very pleased to present “Live At Mark Moore Gallery”. 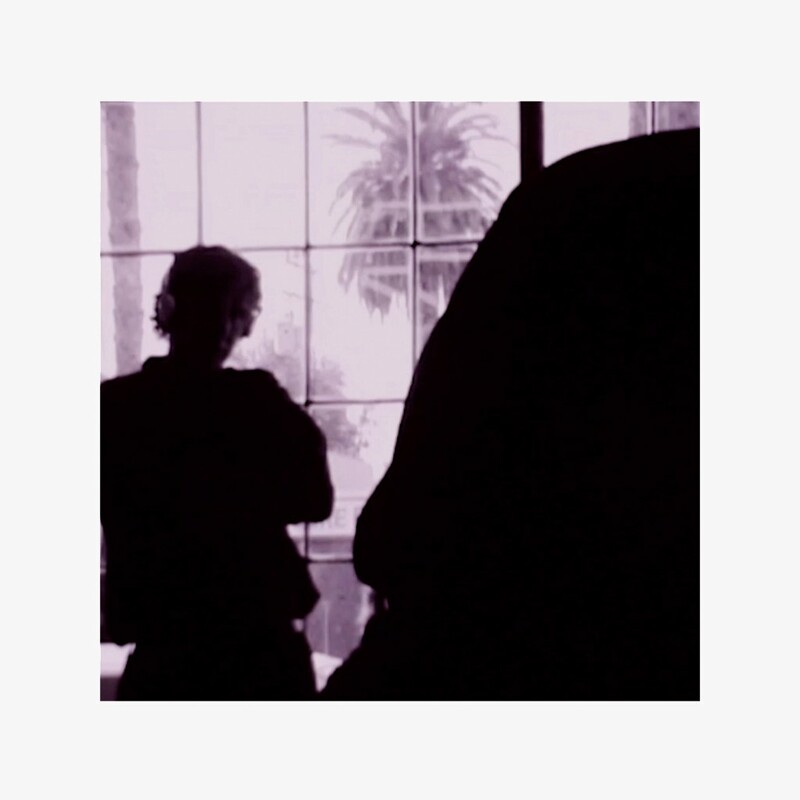 “Live At Mark Moore Gallery” was recorded June 21, 2014 in Culver City, California. The line-up includes: Don Bolles, Ted Byrnes, Dennis Duck, Ace Farren Ford, Michael Foster, Juan Gomez, Fredrik Nilsen, Joseph Hammer, Kevin Laffey, Jorge Martin, Joe Potts, Rick Potts, Dani Tull, John Wiese, and Vetza. The multi-channel recording was engineered by Jorge Martin and Greg Lenczycki, and was mixed by John Wiese. The cover was designed by Tinytown with photographs by Don Lewis. 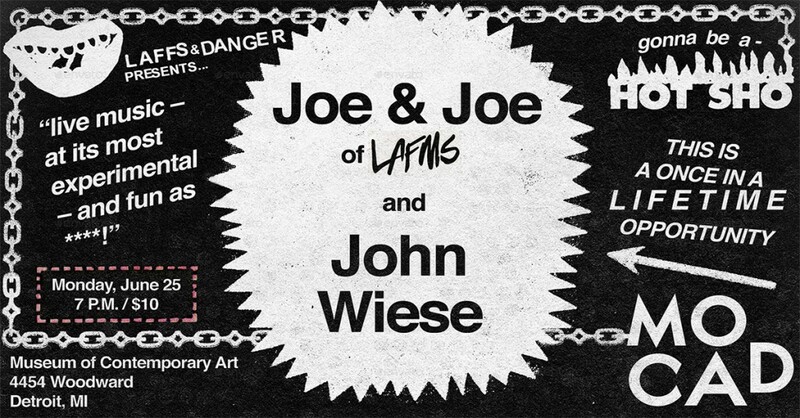 This release continues a series by the label documenting West Coast artists. Other editions so far include The Haters, Damion Romero, Hive Mind, Smegma, John Wiese, and Sissy Spacek. These American legends of outsider avant-garde need little introduction. 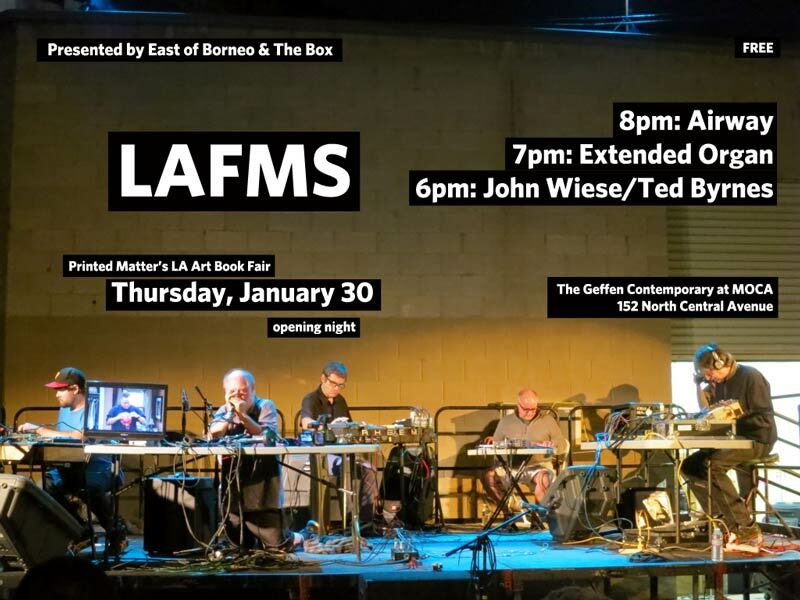 Since becoming core members of the Los Angeles Free Music Society over four decades ago, they have retained their focus, determination and unmatched originality, influencing generations and never ceasing to advance further avenues of progress. 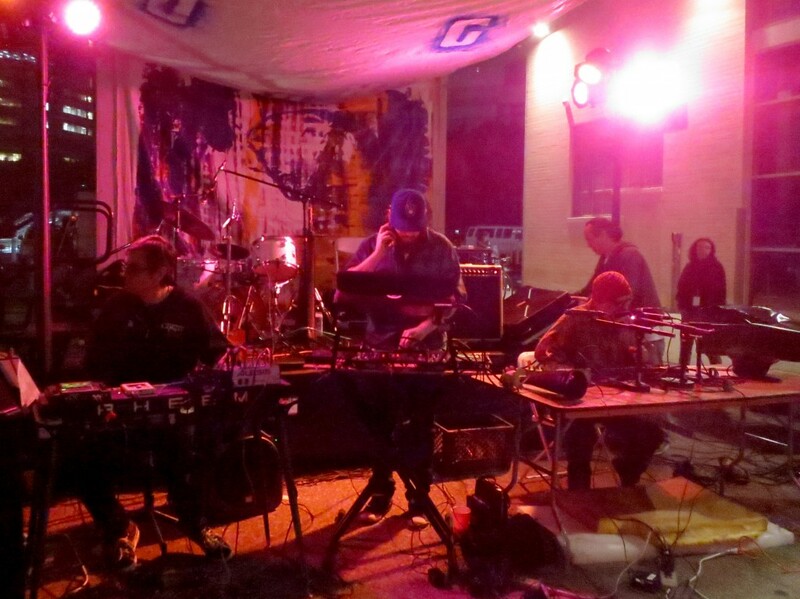 Mutant Stomps is a result of Smegma’s living room recording sessions at their pink house in Portland. All tracks were produced 2012–2013, with one dating back to 1975 for good measure. 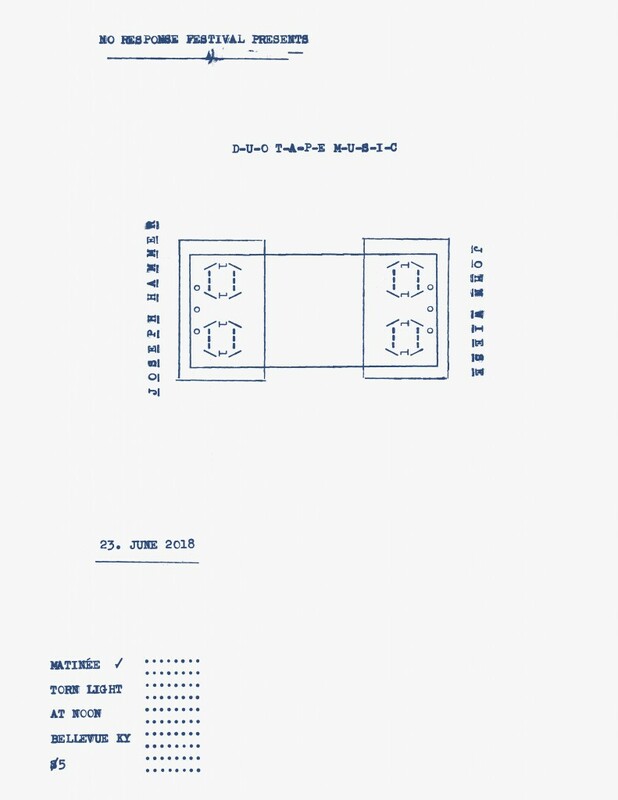 The line-up of Dennis Duck, Ace Farren Ford, Rock and Roll Jackie, Ju Suk Reet Meate, Madellyn Villano, John Wiese and Donkey Flybye deliver a consistently amorphous, surreal-concrète sound. 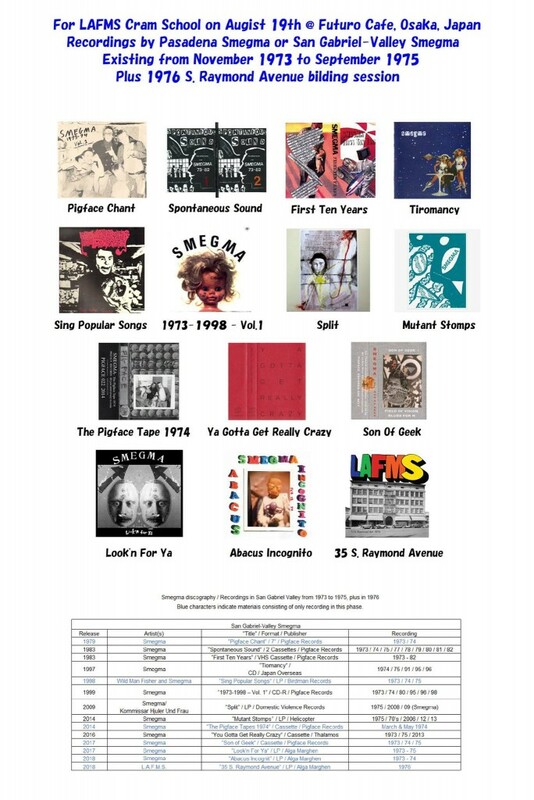 The full length LP comes in an edition of 100 copies.